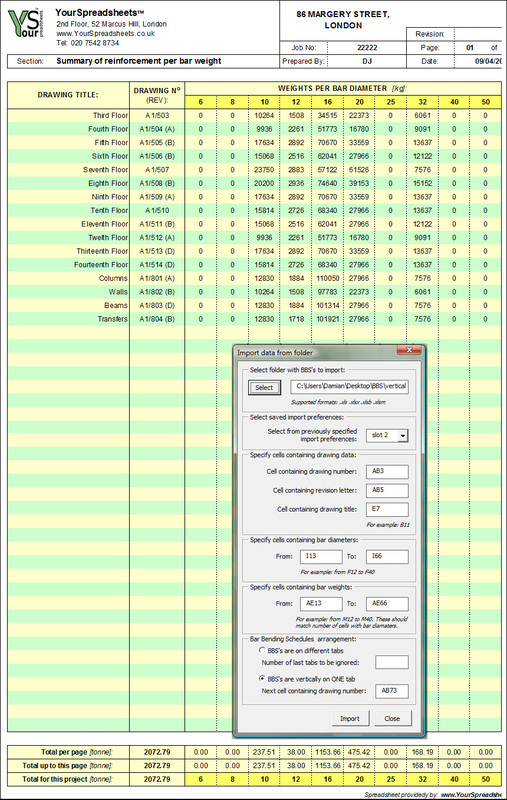 Aim of this very powerful spreadsheet is to summarize reinforcement weights per bar diameter from multiple BBS files (bar bending schedules; also called bar lists or rebar lists) on a clear an easy to read schedule. This information can then be used to calculate cost of 'as-built' reinforcement (since cost per bar diameter differ) and compare it with estimated figures. User only specifies import preferences and folder with (up to 460) BBS files - the spreadsheet will go through all these BBS files and export rebar weights and list these as a project summary schedule. This capability is obviously extremely powerful and will save days of manual work. It will be especially appreciated by Quantity Surveyors, Contractors and Project Managers. Units of weight can be either metric or imperial (bar diameters can be adjusted to suit different countries). To see how this spreadsheet works see the video or try FREE Lite Version. - Store up to three import preferences (ever rebar detailing company has different BBS layout). This video shows main capabilities of this spreadsheet. "Works great, saved us a lot of time of going through hundreds of bar lists and collecting rebar data. Shame we did not decide to buy this spreadsheet when we did our previous projects." David H.
This spreadsheet uses ActiveX components in VBA - Apple's Mac OS does not support these. 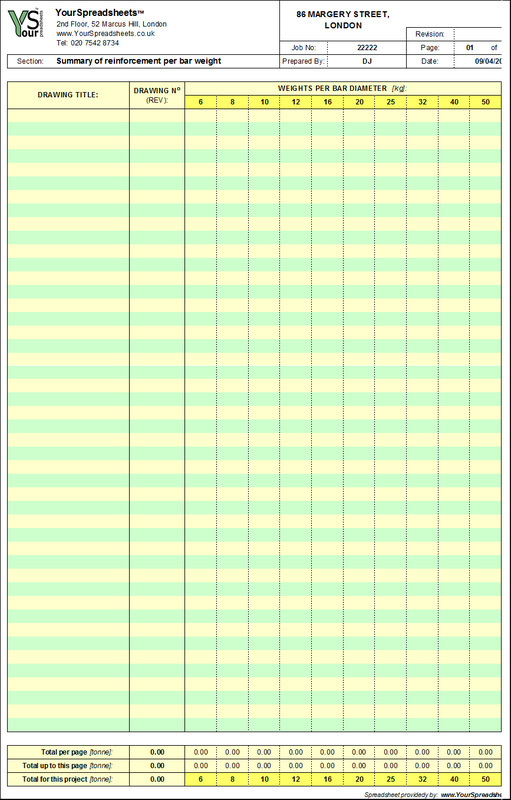 Therefore to use this spreadsheet you have to use computer with Windows and MS Excel (version 2007 to 2016). 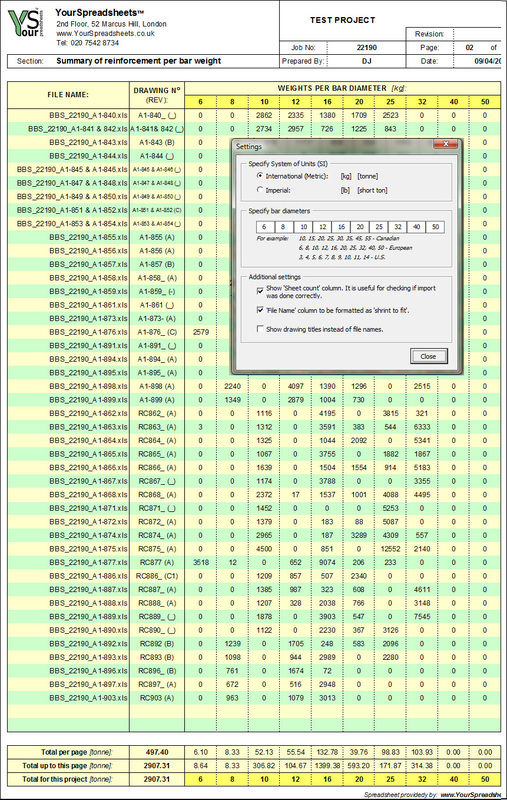 - Up to 100 sheets per BBS file (vertically or on separate tabs) is allowed. ...if you are affected by any of these limitations then contact me and I will adjust the spreadsheet. FREE Lite: BBS Reinforcement Tonnage Sum (1.2). The restriction in this FREE lite version is that you can not change the company name nor the logo (shown in top left corner) - currently set to a made up company. Also you can import only two BBS files. A few command buttons and several bar diameters have been disabled. 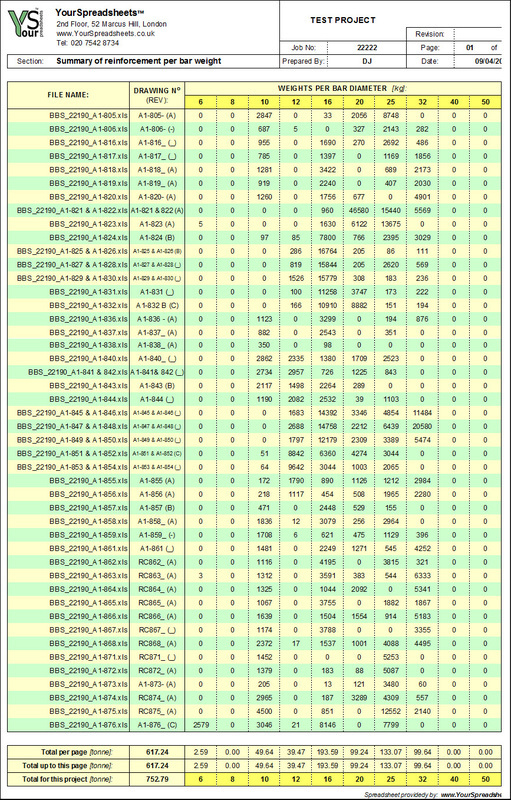 FULL version: BBS Reinforcement Tonnage Sum (1.2). Fully working version where you can import up to 460 BBS files. Company logo and address will be revised to suit your requirements. This spreadsheet is extremely powerful and has a very specific functionality and audience, therefore only company license is available. By purchasing this spreadsheet you agree to the disclaimer and terms & conditions.